Our team at Surfrider Foundation San Diego has seen the horrific sights and smelled the sickening odors on the northern side of the U.S./Mexico border, but we recently had the opportunity to view first-hand a couple of areas where the toxic water crisis originates on the southern side of the border. Paloma Aguirre, Coastal and Marine Director of WILDCOAST, took us on a journey to the Punta Bandera outflow, which comes from the sewage treatment plant that processes nearly 40 percent of Tijuana’s sewage. Since 2015, the plant has failed to comply with Mexico’s coastal emissions standards, as we witnessed with the brown water and nauseating stench coming from the outflow. On average, over 20 million gallons of wastewater (treated and untreated) spews from the plant and into the Pacific Ocean each day. Punta Bandera sits only 5 miles south of the border, 8 miles from Imperial Beach, and 15 miles from Coronado. Partially treated wastewater/sewage gushes out like a waterfall and flows into a cave with extreme force. The smell is horrendous. Paloma Aguirre shows South Bay Clean Water / No Border Sewage Co-Chairs, Carrie Jiampa, Bethany Case, Shannon Johnson; EC Liaison, Bobbi-Jo Dobush; Blue Water Task Force Chair, Ally Senturk; and This Is CA Photographer, John McCauley (not pictured), the Punta Bandera outflow. Next, we toured the Los Laureles Canyon area. More than 65,000 people live in this region. It often gets washed out with trash, sediment, sewage and whatever else falls into the path of the rivers that surge through the canyon during rain events. All of this eventually ends up in Goat Canyon on the American side (Border Patrol protected area) and then flushes out to the Pacific Ocean. Los Laureles Canyon is lined with small dwellings like the ones pictured above. Many sit directly above the concrete channel that fills with wastewater/sewage. Trash and animal feces line the streets and concrete channel, which will inevitably be swept through the village and downstream once the rain begins. Children play in this. Animals pick through the debris for their meals. Tragically, this is a man-made disaster that needs to be resolved. Animal feces line the ramp of the concrete wastewater channel. In January 2018, we kicked off our guided monthly tours of the Tijuana River Valley. Border Patrol’s Christopher Harris (Union Secretary and Director of Legislative and Political Affairs) takes the public behind the scenes in the border region to help raise awareness for the issue and inspire action. In February 2018, we held a 1-Year Anniversary of the Big Spill letter writing event where we collected nearly 400 letters about the continuous border pollution. We also won a Mayoral Community Service Award at the 2018 Imperial Beach State of the City Address. In March 2018, we held a March for Clean Water in Imperial Beach to address the lack of federal response/clean-up and to continue to raise awareness about the problem. We had Mayor Serge Dedina (Imperial Beach), Mayor Richard Bailey (Coronado), Christopher Harris (Director and Union Secretary, Border Patrol), and Michael Torti (Executive Chair, Surfrider Foundation San Diego) attend and speak at the rally. In April 2018, we held five letter writing events throughout San Diego County and collected over 260 letters directed to the San Diego County Board of Supervisors. Our request was that they issue a State of Emergency in the Tijuana River Valley. This would allow them to apply for funding via the CDAA for remediation and clean-up efforts. In May 2018, Surfrider Foundation filed a Notice of Intent to sue the U.S. International Boundary and Water Commission (IBWC) for violations of the Clean Water Act. As a non-governmental organization, we represent the beach-going public and those that love to protect and enjoy the coast. We also collected nearly 200 letters for the Governor of California requesting that the state file a lawsuit against the IBWC for its failure to address and manage the transboundary flows of sewage, chemicals and trash that put at risk the health and safety of our citizens, our Border Patrol and our Navy Seals. We have formed key partnerships with Mexican non-profits, such as Proyecto Fronterizo de Educación Ambiental (pfea.org). The Mexican nonprofits in the border region are also concerned with water quality and plastics pollution. We assisted with reinstating the 2018 funding for the Border Water Infrastructure Program (BWIP) by advocating, letter writing and disseminating information to the public and elected officials. The BWIP allocates $10 million per year to fix collectors in Mexico that are in dire need of repair. Request that Congress increases the Border Water Infrastructure Program (BWIP) funding to $20 million. BWIP is an EPA-funded program that funds the planning, design and construction of high-priority water and wastewater infrastructure projects along the border region. It helps fund critical projects to reduce polluted runoff to the U.S. BWIP is currently funded at $10 million. 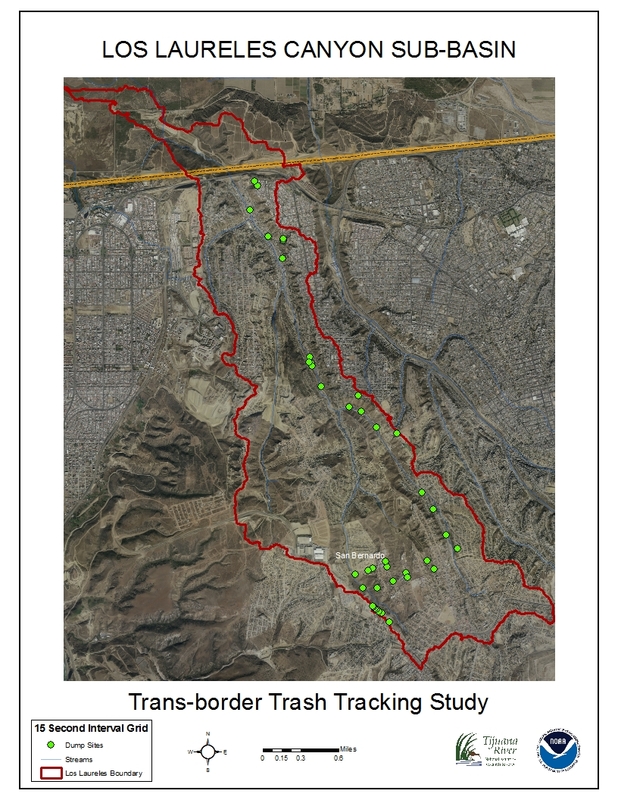 Urge the U.S. Department of State’s Office of the Inspector General to (OIG) to investigate the ongoing transnational sewage spills in the Tijuana River Valley. Put pressure on the Mexican Governor, Francisco Vega de Lamadrid, to issue an ongoing State of Emergency in Baja California and to prioritize sewage infrastructure. In the aftermath of February 2017, Baja California declared a State of Emergency that allocated funds to fix sewage collectors in need of immediate repairs and purchase equipment that deal with emergency break downs. Less than 4% of the funds needed for these repairs and upgrades have been allocated. Continue to raise awareness and expand water quality testing on both sides of the border. Do you want to be a part of the solution? Send us an email to learn more about our volunteer opportunities and/or support our Clean Border Water Now! campaign TODAY!